In 2012 the Public Catalogue Foundation reached the end of its epic 10-year project to catalogue and digitise the UK’s entire oil painting collection in public ownership. 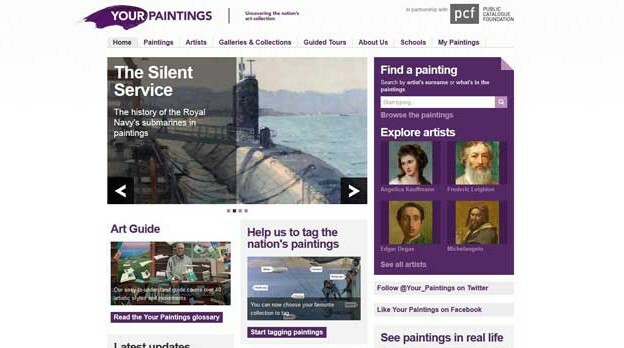 All 212,000 paintings can be seen on the Your Paintings website, which was built by the BBC in partnership with the PCF. There is no other such comprehensive national art website in the world. The end of that journey became the start of another – but this time it was less of a straight road and more of an exploration of new territory. Much of this exploration has involved using digital technology. Whether in deepening our knowledge of the art we own or introducing wider audiences to it, digital is transforming the public’s connection with art and challenging hitherto established curatorial practices. At the PCF we have always felt that a key part of our mission was to ensure that as many people as possible should see the digital record we created. With so many paintings hidden away in store, our view was that their virtual counterparts should, by contrast, be freely available to view. 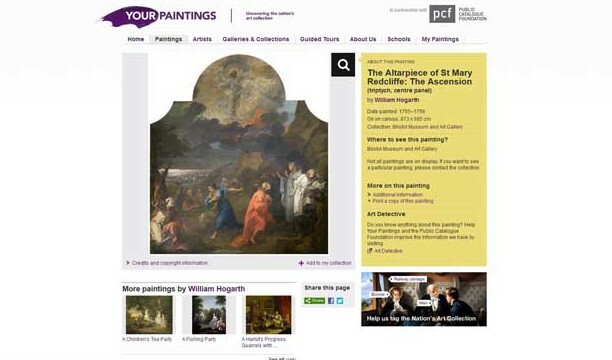 The BBC proved exactly the partner we were seeking in order to build the Your Paintings website. Furthermore, digital technology offered considerable opportunities for the public to contribute to projects and engage with art in ways that are not possible in the gallery. Early on, the PCF set out to make the long tail of less well-known paintings better known, by making them more visible. 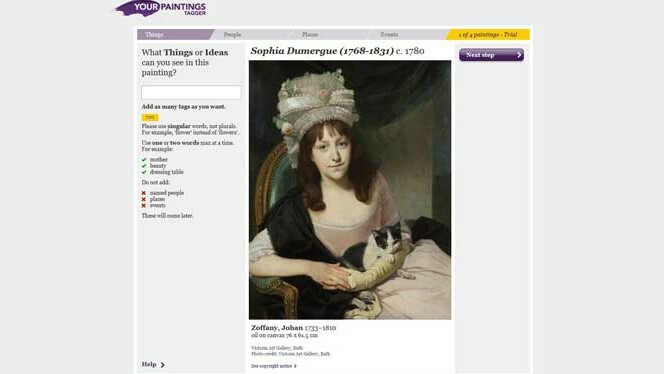 We thought that the best way of achieving this would be to allow audiences to search paintings by subject matter. However, to make this possible, all the paintings needed to be catalogued by subject matter – no small challenge, but one that we embarked on with relish. We created Your Paintings Tagger, which involves members of the public tagging the paintings by what they can see in them. Over 10,000 people have signed up as taggers, resulting in a bank of useful tags that are then mediated by an algorithm to ensure that only the best tags are fed through as search terms to the Your Paintings site. Whilst the quality of the resulting subject tags is high, progress needs to be accelerated. We are therefore now working with the Department of Engineering Sciences in Oxford on a project that uses image-recognition software to speed up the tagging process. Members of the public are helping us to perfect these results and improve the effectiveness of the software. All of us involved in this work are thrilled by the results and the potential for this application in improving the ‘searchability’ of art online. One of the many benefits of working with the BBC is the range of possibilities for linking paintings on Your Paintings to BBC broadcasts or topical events using subject matter. Whether it is the start of the World Cup, documentaries about the Cold War or the British Renaissance, these linkages attract wide audiences to the paintings on Your Paintings. Recently, the site has attracted 300,000 to 400,000 unique visitors per month, with approaching half of the audience not using any other online art resource. 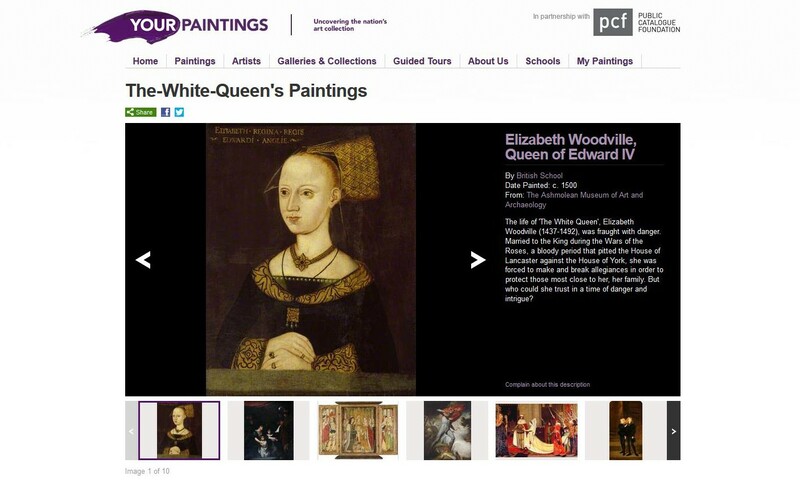 Interestingly the most popular painting on the site is a portrait of Elizabeth Woodville, the ‘White Queen’ of last year’s eponymous BBC drama series. 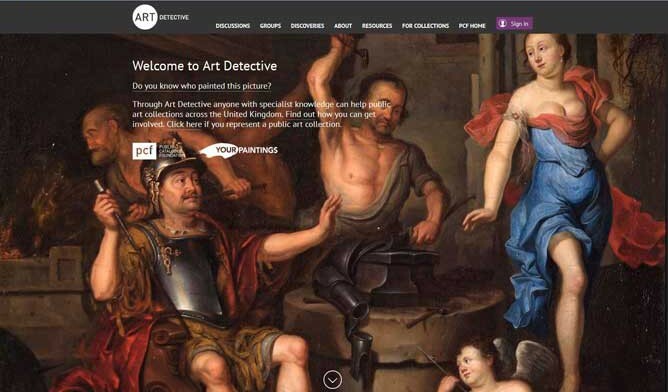 A recent focus for the PCF has been the launch of Art Detective. This project addresses the serious issue of insufficient – and declining – specialist knowledge within public art collections. It works by connecting public collections in search of information about their oil paintings with specialists and members of the public with relevant knowledge. Whether it is to discover the coastal site of a shipwreck in a 19th-century seascape or the artist behind a 17th-century Forge of Vulcan, Art Detective is already helping collections put names to unidentified sitters, places and events depicted in their paintings and the unknown artists behind works. An important project currently being undertaken involves putting in place more open rights in the photographs created by the PCF during the oil painting digitisation project. This project, funded by Arts Council England, will involve the PCF entering into negotiations with thousands of rights owners later this year. 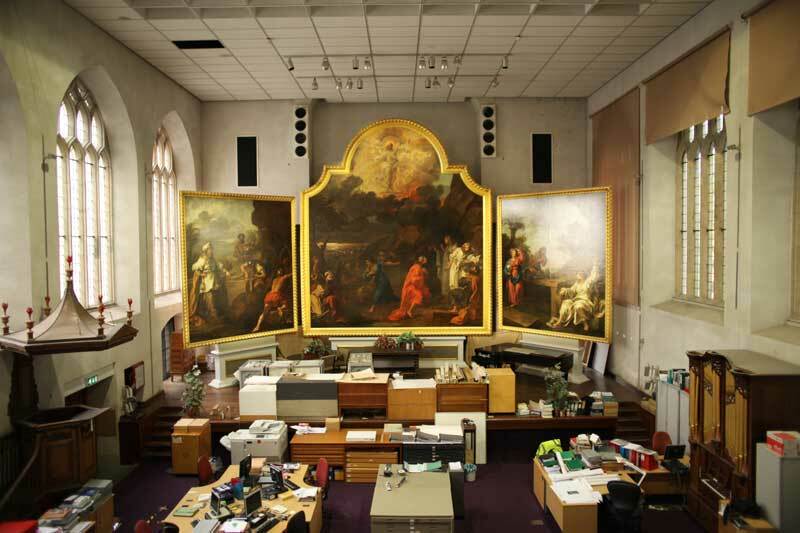 In due course this will enable far wider non-commercial use of the photographs of the nation’s oil painting collection, thereby making this art collection even better known and visited. One of the unambiguous benefits of a project such as Your Paintings is that we are now aware of so much more of the art we own as a nation. From wherever we live, we can see paintings in Aberdeen, Belfast and Cornwall at the click of a mouse. Naturally, extending the project to other art forms is a PCF objective. In partnership with the Public Monuments and Sculpture Association, and subject to funding, the next big digitisation project will be to bring to light all the sculpture in UK public collections and in our streets and squares. Seeing art online, of course, cannot beat the experience of being in the presence of the real thing. We are therefore delighted by Audience Survey results that show that the Your Paintings audience is keen to go and see the real painting after seeing it online. A key focus for us in the future is exploring how we can encourage such visits to happen more often, particularly to collections in the regions. So many exciting advances are taking place in the use of digital technology to open up public art collections. However, funding digital projects continues to be a significant challenge for those working in this field. If that challenge can be overcome, the next 10 years should see a dramatic growth in the public’s use of digital technology to discover more about the art we all own.